Missouri University of Science and Technology is one of the best values in higher education, according to the 2017 PayScale College ROI Report. Missouri S&T ranks eighth in the nation for annual return on investment (ROI), according to the PayScale report, with an average annual ROI of 11.7 percent over 20 years. That puts Missouri S&T sixth among public universities for in-state students and first among Missouri colleges and universities. The PayScale report measures universities’ return on investment (ROI) based on cost to attend, graduation rates, student loan indebtedness and PayScale’s “20-year net ROI” average. PayScale ranks universities by comparing a school’s total cost of attendance for a bachelor’s degree with the 20-year net return on investment, based on a graduate’s earning potential over a 20-year period. The report is designed to show “which colleges are providing the best monetary return for their alumni via low cost of attendance, high earning potential or a combination of the two,” PayScale says. 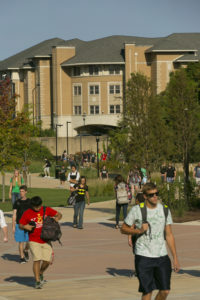 Missouri S&T ranks 24th in the category of 20-year net return on investment. Among public universities, S&T ranks 13th overall for 20-year net ROI.